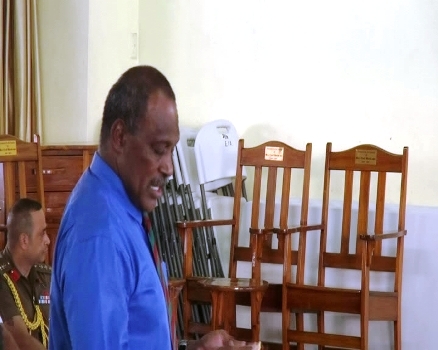 Prime Minister Voreqe Bainimarama yesterday handed repatriated furniture to the Methodist Church of Fiji. The furniture which belongs to Reverend Cyril Bavin- a New Zealand born Minister who came to Fiji in 1901, instituted the Industrial Mission teaching Fijians wood works and furniture making. He later returned to Great Britain and joined the British Army in 1916. The furniture went to the UK when his family settled in West London in the 1920’s. However, when he returned to Australia during World War 1, the furniture was used and passed down through his generations before it was handed over to Fiji’s High Commissioner to the UK Solo Mara. It was then sent to Fiji where the final touches were done by the RFMF engineers before handing it over to the Methodist Church. Reverand Bavin’s family is delighted that it has found a new home.